British welterweight Amir Khan 33-4 (20) has expressed his frustration at not being accepted by his countrymen and the broader boxing public. As an amateur Khan became Britain’s youngest Olympic boxing medallist when he won the silver medal in the lightweight division at the Athens Games in 2004 as a 17-year-old. The now 32-year-old was courted by some of boxing’s biggest promotional outfits before turning pro the following year. Khan believes tall poppy syndrome is the main reason his professional boxing career hasn’t been better received. “I was quite hard (to deal with his rapid rise),” Khan said to the Daily Star. “I was so young and all my friends were chilling, playing football and I couldn’t do all that stuff. “If you don’t like me don’t comment about it. “They don’t like you or they want to say something bad about your boxing career. I just think most of it is all jealousy really. 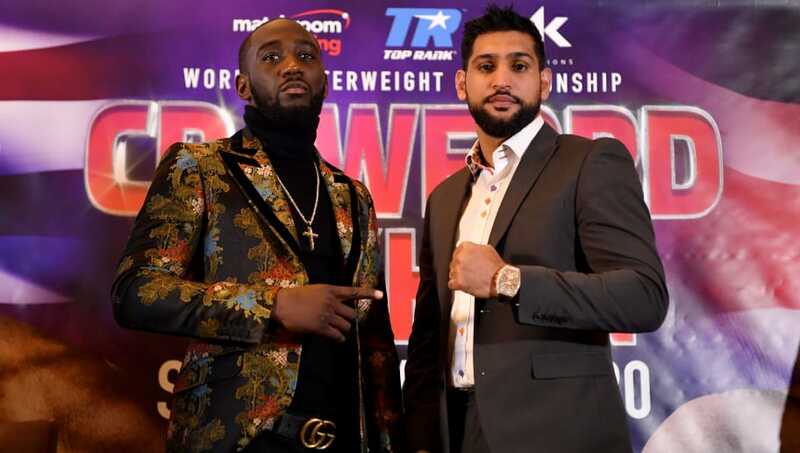 Khan will return to the ring at New York’s famed Madison Square Garden on April 20 when he takes on undefeated WBO 147-pound champion Terence ‘Bud’ Crawford 34-0 (25). The American southpaw, who claimed world honours at lightweight and unified the junior welterweight division, is a prohibitive favourite going in to the fight. The last time Khan fought in America he was knocked out in six frames by Saul ‘Canelo’ Alvarez at middleweight. In his last outing in September, Khan outpointed Samuel Vargas in Birmingham.